What is the purpose of salt? And why, oh, why would Jesus call us “salt of the earth”? Salt is used to add flavor, preserve, season, freshen, sweeten to taste. It’s a means of purification, delays decay or physical corruption. We are to be just like this to the world arounds us. Our message of Christ and Christ crucified may sting (fret/bite) a bit at first. For some, it may be offensive. It may cause pain to hear that they way they do life or understand life is wrong. It may hurt a bit to hear that Jesus is THE only way to eternal life and reconciliation with the Father. The message can be painful in the beginning. But that’s okay, salt on flesh stings at first in order to disinfect and fight disease. Pain comes before purification. However, it shouldn’t stop there. After the salt is poured onto the flesh, it begins to make a savory taste. We should be able to proclaim the message of Jesus Christ in a way that causes others to have a good taste in their mouth. One that leaves them craving more. We should share Truth in a way that is flavorful, delightful, and tasty. Not in a way that causes people to spit it out, but in a way that causes them to chew on it more. Salt helps keeps things alive longer. Salt keeps things from decay (corrupting), it can keep from harm, illness, or disease. So just as salt preserves food, we as salt of the earth are to help preserve people. We are to help people along the path of of everlasting by showing them Christ. We are to help keep others from harm, moral decay, spiritual illness or disease by pointing to Christ and His word. We are salt of the earth. Jesus tells us so. But not all salt stays “salty”. The rest of this scripture warns that we are supposed to be the kind of salt that does not lose it’s taste. If we don’t remain salty, remain fresh and pure ourselves, when we offer our “salt” to others, it will do no good. It will be useless, “thrown out and trampled under feet” as Jesus said. The way we live our life can either be as a preservative for others, or it can be meaningless and thrown out. We’ve all come across these kinds of people. Those who talk about the redeeming work of Jesus and yet their lives are anything but redeemed. They lose credibility, people begin to toss them aside, throw out their message, because it is not reputable. It’s meaningless. They’re salty people who have lost their taste. Their salt is good for nothing. Friends, will you work hard at protecting your saltiness? Will you remain in Jesus, the ultimate Preserver, so that your salt provides others with a savory taste? Let’s be people whose salt has a purpose and good flavor. Let’s be people who allow our salt to sting, savor, and save. 1. List the ways salt is used. 2. Is your life salty to those around you? How do you add flavor to others lives? Preserve them from death? 3. 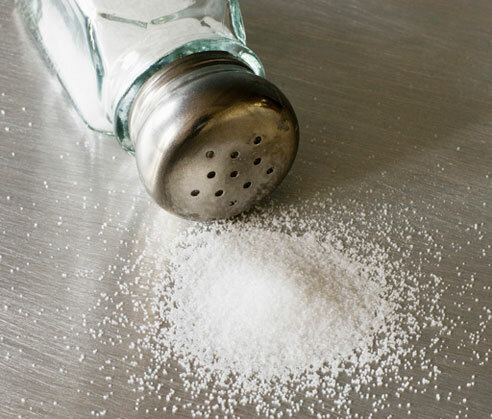 Salt can also make you thirsty. Does your life make people thirst for Jesus? Why or why not?